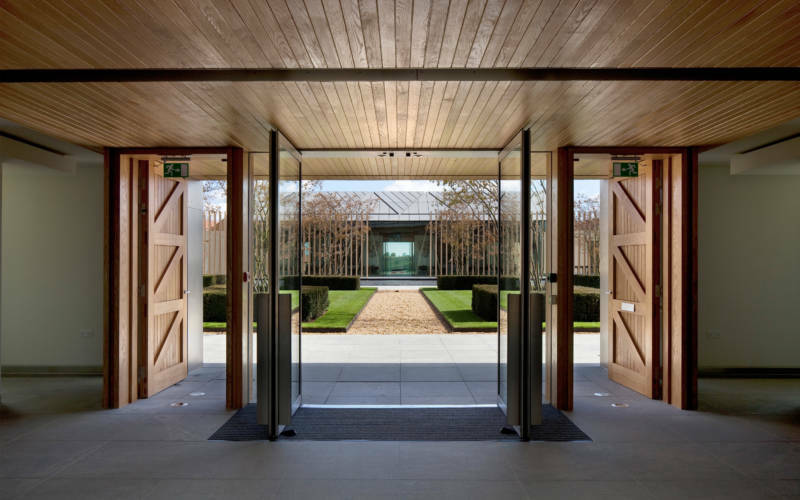 The Rothschild Foundation at Windmill Hill continues the grand tradition of Rothschild architectural patronage in the Vale of Aylesbury. 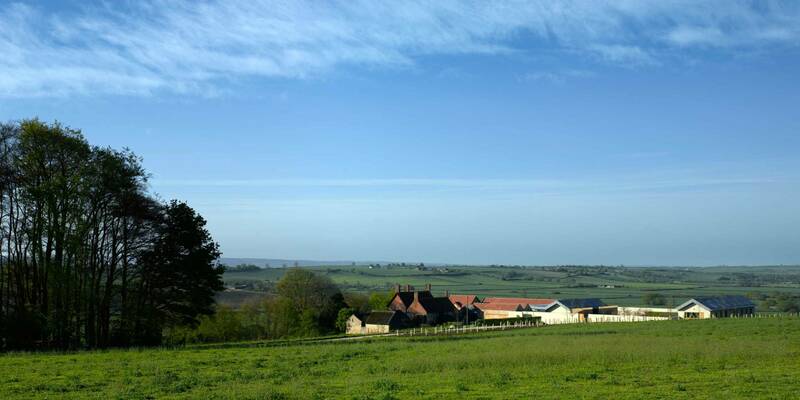 With spectacular views, an old dairy farm has inspired a place to enjoy cutting-edge art and architecture, as well as providing spaces for the Waddesdon Archive, offices and performances. 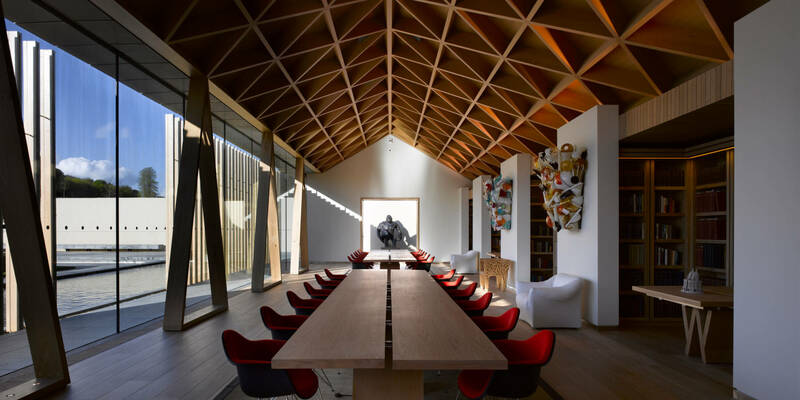 Designed by Stephen Marshall Architects of London, the building celebrates the conservation and environmental work of the resident Rothschild Foundation. 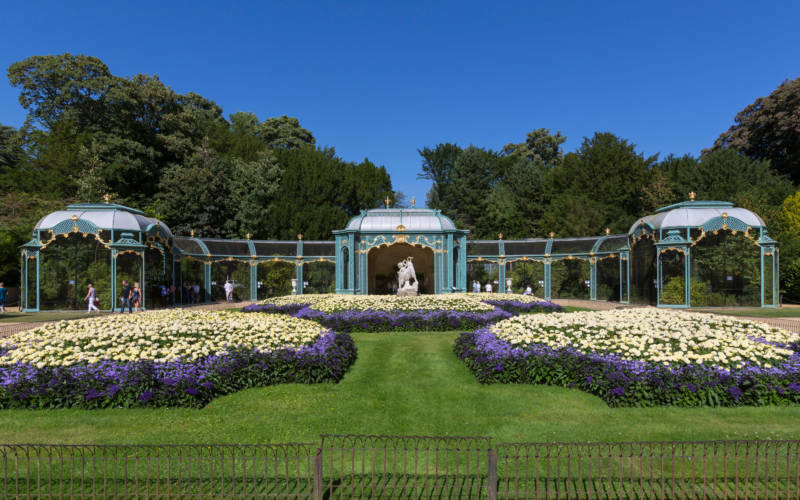 It also houses the archives of the Waddesdon Rothschilds. 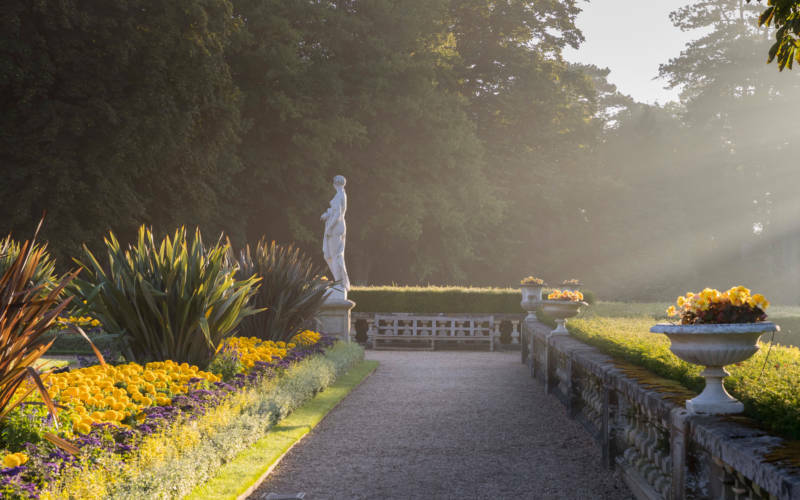 In the 1870s, it was the surrounding landscape that first drew Ferdinand de Rothschild to Waddesdon. These views are brought into the building and courtyards, both defining and enhancing them. Subtle landscaping allows the building to emerge out of the surrounding fields on your approach, contrasting with the more formal aesthetic of the courtyards. The new buildings broadly mirror the footprint of the former dairy farm: two of the original red brick barns were retained. 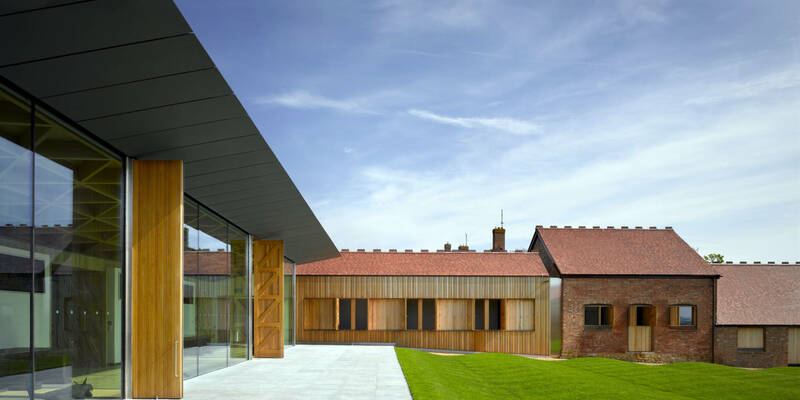 Vernacular features of the farm buildings have been given contemporary expression, for example, in the use of metallic roofs, vertical louvred screens, oak shutters, stone and render. 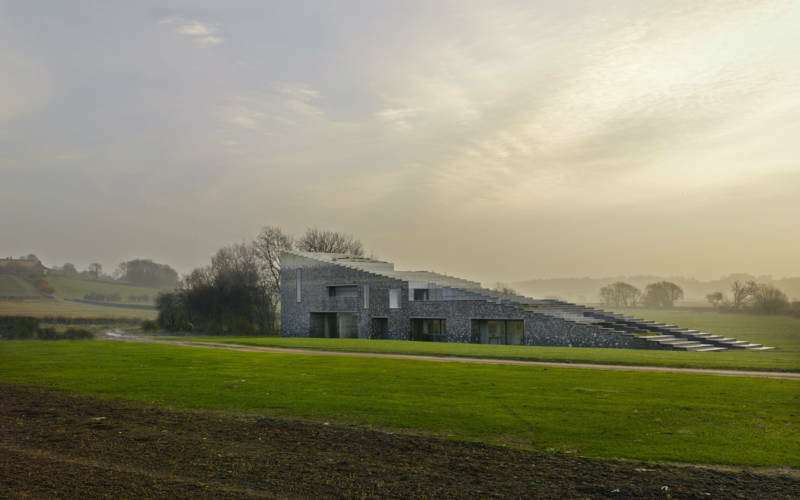 Sustainability has inspired ground source heating and grey water recycling. 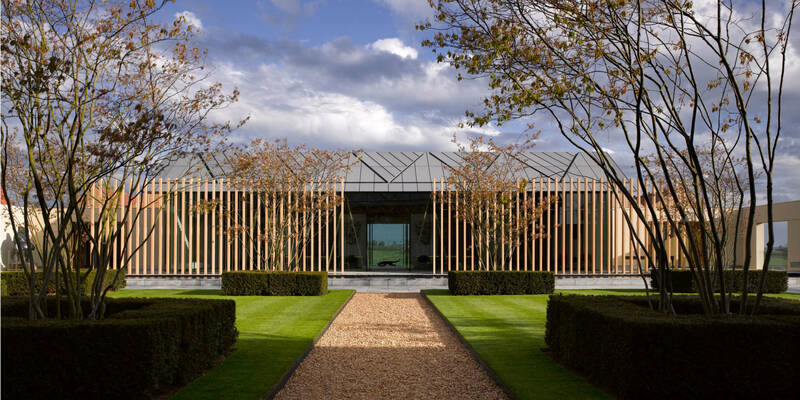 Deep eaves and screens protect the Reading Room and offices from the sun. Shutters allow natural ventilation. 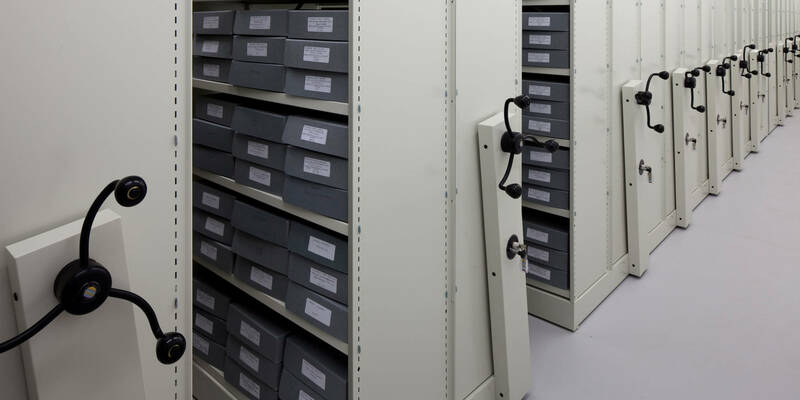 The Archive stores have very thick walls that allow a stable environment for the documents without the need for air-conditioning. It is one of Britain’s largest naturally cooled archives. A growing collection of modern and contemporary art complements the building and its environment. In the courtyard, Angus Fairhurst’s brooding gorilla sculptures contrast with Michael Craig-Martin’s colourful umbrellas – a humorous reference to the unpredictability of the British skies overhead. 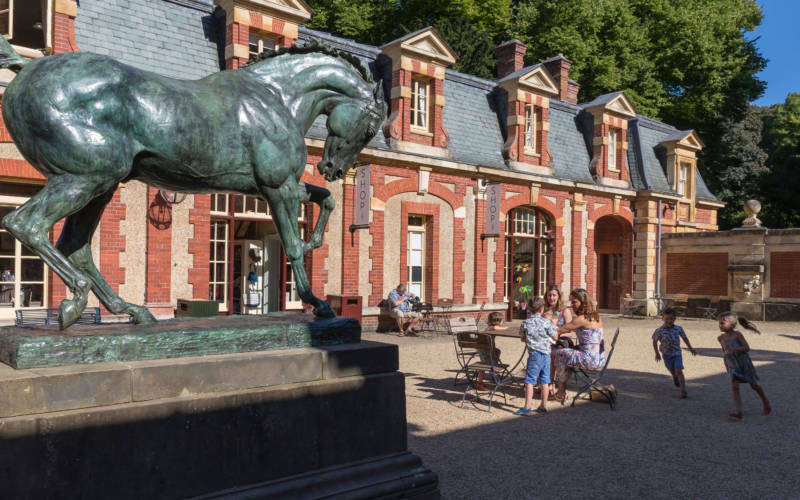 Visitors are welcome to explore the courtyard on foot. Please leave your car in the main visitor car park. 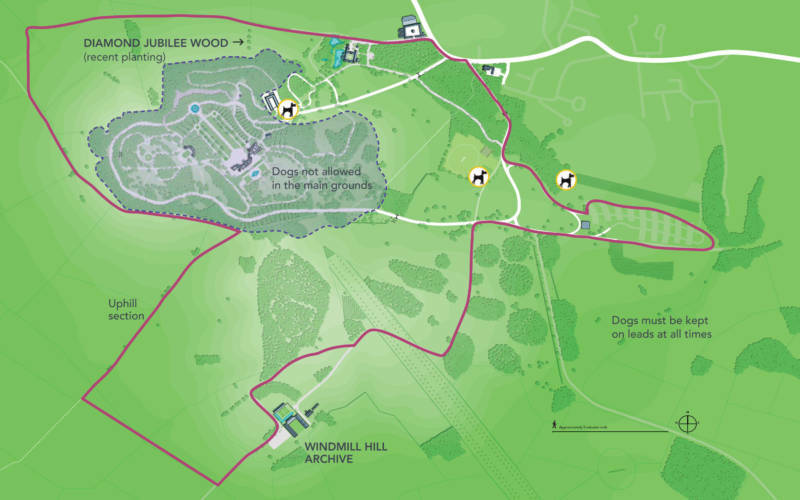 The walk to Windmill Hill takes around 20 minutes. The buildings are private but can be visited during staff-led tours. 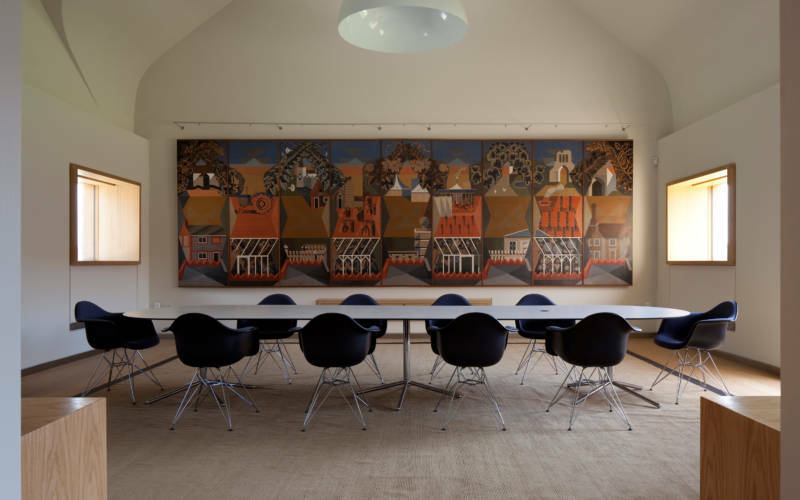 Find out more about the contemporary art at Windmill Hill. 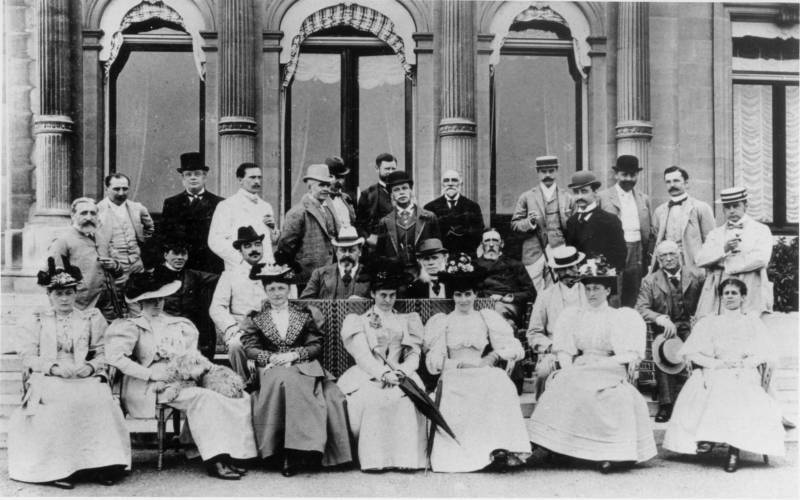 Discover more about the Waddesdon archives at Windmill Hill.